The sad state of our oceans – vast garbage patches floating in the oceans’ subtropical gyres (places where ocean currents accumulate garbage, especially plastic bottles), oil spills from boats and other sources, and other pollutants – has people and companies coming together to find solutions. Two such solutions, one in the open ocean and one near the shores, are now reaching operational stages. 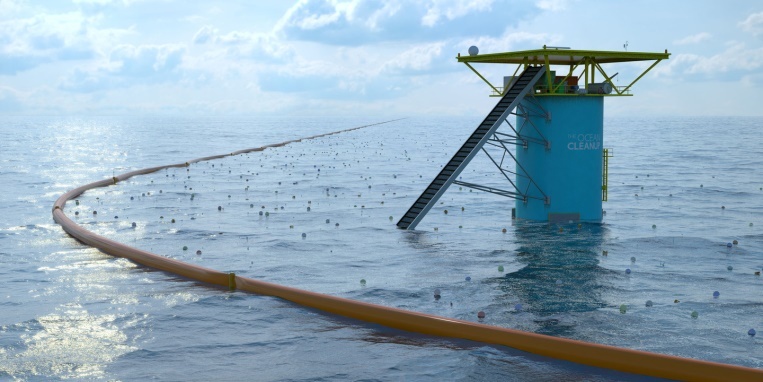 In the open ocean, the Ocean Cleanup has developed “the first feasible method to clean up the world’s ocean garbage patches. Five vast areas of Open Ocean, known as the subtropical gyres, act as a trap for ocean plastic. 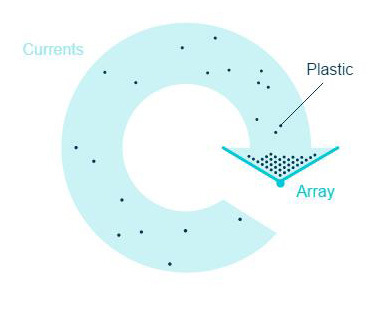 We specifically focus on the North Pacific accumulation zone – also known as ‘the Great Pacific Garbage Patch’ – since about 1/3 of all oceanic plastic is concentrated in that one area between Hawaii and California.” Founded in 2013 by Boyan Slat (at the age of 17), the Ocean Cleanup uses natural ocean currents in a passive system that aims to remove about half the Great Pacific Garbage Patch in 10 years, at a fraction of the cost of traditional boats and nets. The project is autonomous and energy neutral, and can be scaled according to needs. In June 2016 it deployed its first prototype in the North Sea. Its aerial expedition has started and the company plans to introduce its pilot in 2017. Read more about the Ocean Cleanup. 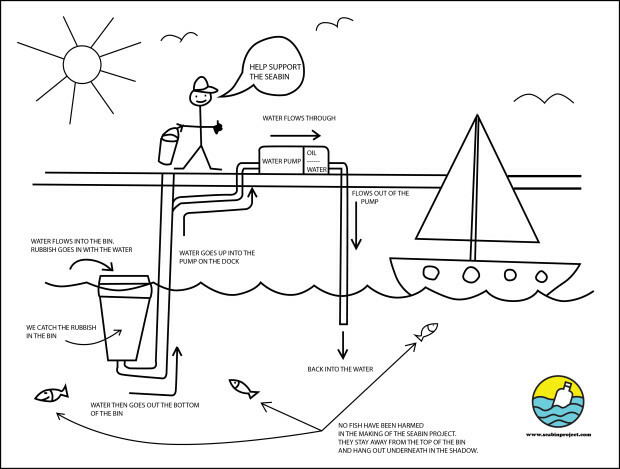 Following an Indiegogo funding campaign, the project is now fully funded and the team has set up an R&D facility in Mallorca to develop production techniques, aiming to market the Seabin in mid to late 2016. 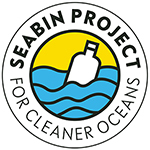 Watch the Seabin Project video. See also the Upcycling the Oceans feature published here in August.